Have you considered, or even decided that your business is going to need a cleanroom? There probably seems like there are many things to consider when choosing one that fits your needs. A few factors you should take into consideration when planning the perfect cleanroom for your staff and facility. Do you know what a mezzanine cleanroom is? It is typically a floor that is lifted between the bottom floor and the second floor allowing lifted space for a place like a cleanroom. You will also need to factor in what size you would like and the budget you have set for your cleanroom. 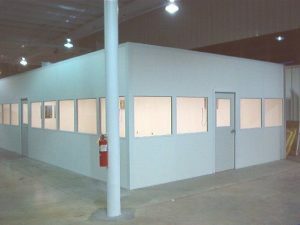 We offer cheap modular cleanrooms for sale to fit any budget so be sure to check out our specs at our website when diving into the various options you have. When purchasing a cleanroom you also need to consider the application it is used for. This will play a large role in figuring out what works best for you. If you need more help with the consultation of fitting in everything you need then you can easily contact us for more help and information. Here are a few things that we feel you need to take into consideration and you move forward with this process. When deciding on what cleanroom you are going to implement into your business you need to know a few things upfront before you make final decisions. ISO or International Standards Organization has certain levels of cleanrooms that meet certain standards. Each rank of cleanroom is a one to a nine. One is considered the cleanest and the class goes up as you have higher Microns greater than .5 in size. An example would be a class seven clean room would be 352,000 particles. When you get into the depth of what a cleanroom and class means it can be confusing to narrow down your options you have to ask yourself a few basic questions to figure out what class you need. You will need to know what the source of contamination is when choosing a class. What size are the particles, which we talked briefly about and then you will need to know how much air it will take to filter out the particles within your cleanroom. If you are looking for where to buy a ISO 7 cleanroom online then you have found the right place. If you need to look further into other options you can contact us and we can easily help you. When looking at the class your cleanroom needs to fall under it is good to understand what the exact meaning of each class entails and how to figure out what class you will need to run your business with any issues. We talked earlier about ISO levels with cleanrooms and the size of the particles being what decides air flow. A good way to understand each class is to know each level also goes by other increments. For example an ISO class 6 cleanroom is a class 1,000 cleanroom. 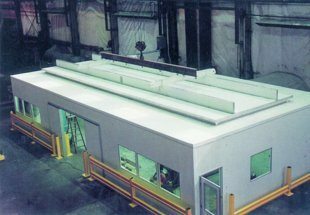 ISO Class 7 cleanroom is a class 10,000 cleanroom and it goes up from there and down the lower you get in class. The amount that you are choosing also greatly affects air flow to clear out the microns that are the problem. The size of the sace is also a vital consideration and just changing the height by one foot will add on about fifteen percent incline in area of the room again changing the space the airflow needs to work with. When having a cleanroom added to your business you want to take into considerations wall systems for modular cleanrooms. Wall systems can aid in helping you reach the level of cleanroom needed to maintain quality within your clean room. Modular cleanrooms are a great option for many companies allow them to cheaply and easily have them meet the standards and compliance level needed. If you are looking to have the wall systems installed you need to be sure and search our website for viable options before you make decisions. We are here to assist you every step of the way. When going in the direction of a cleanroom with modular capabilities it allows you to expand the need for the cleanroom as your business or facility expands. If you are going to need to move to a new location you will easily be able to break down your cleanroom and relocate it without the hassle and cost of having to get rid of parts or build a new room all together. It is not a bad idea to involve a cleanroom expert in the early process of purchasing your cleanroom. This can save you time and energy. Cleanroom specialist will help you figure out what will work best and also be able to explain to you the benefits of installing a modular cleanroom into your facility. If you have machinery that is needed within your modular cleanroom you may want to consider building a cleanroom within your cleanroom to allow for the lowering of particles and contamination. Often times cleaning certain things within a cleanroom can cause particle contamination as well. Understanding the needs and must haves in a cleanroom will be important. If you are considering a cleanroom and one that is modular be sure and check out our website and see the great prices we offer. Our cleanrooms are versatile and able to help you fulfil the needs of your company.